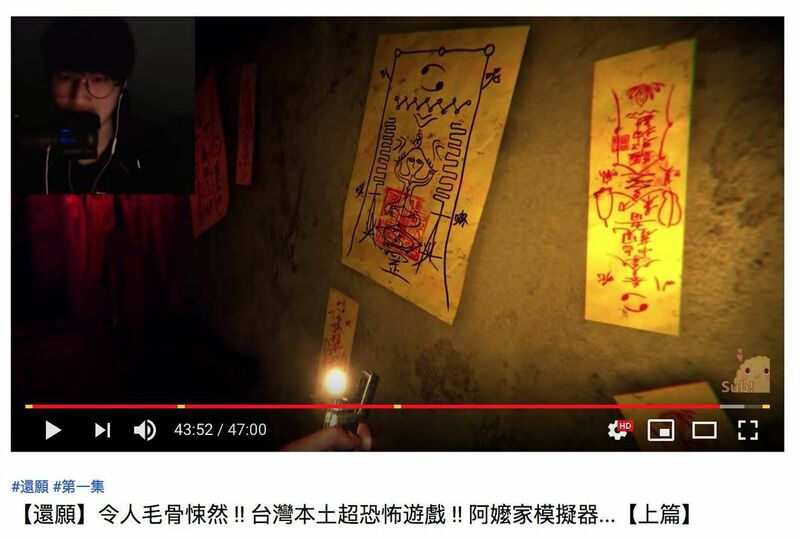 Taiwanese horror game Devotion appears to have been removed from Steam after it drew the ire of Chinese gamers by including a meme that mocked Chinese President Xi Jinping. The meme angered gamers enough that they left thousands of thumbs-down reviews on Steam for Devotion, forcing the developer to apologize, as spotted earlier by Polygon. As of 2:20PM ET, Devotion’s Steam page appeared to be down, although the Steam page for the game’s soundtrack (and a “deluxe” bundle that now only includes that soundtrack) remained up. It doesn’t appear to be a glitch: according to SteamDB, which tracks changes on the Steam storefront, the game was indeed removed. We’ve reached out to Valve and Red Candle Games to see why the game has been pulled. It also appears that Red Candle Games has removed all its YouTube videos of the game. Chinese internet users have been suggesting the president bears a strong likeness to Winnie the Pooh in tongue-in-cheek memes for years, but their efforts have largely been censored. The memes even crossed over to Reddit this month, as users protested Chinese conglomerate Tencent’s investment in Reddit by filling up the site’s front page with Winnie the Pooh memes and photos of the Tiananmen Square massacre. So it’s clear that making fun of Xi Jinping through memes is fair play to many Chinese internet users. But many reviews on Steam said that the real reason why the Easter egg ended up being so antagonizing was because it felt like the developers of Red Candle Games were hiding political views within a product and baiting Chinese users into buying it. Basically, the game was tricking mainlanders into supporting Taiwanese independence from China and the hidden politics ruined all the fun. Ever since 1949, when China became communist and the Kuomintang Nationalist Party, which lost the civil war, fled to Taiwan, the question of whether Taiwan is a country or a province of China has been a subject of huge controversy. The number of countries that recognize Taiwanese independence has slimmed down over the years, under pressure from Beijing. Some in Taiwan still hold views that it should remain its own country, practicing democracy. The offending poster blends in with the other wall decorations, so that only an observant gamer would even pick up on it. But it was still enough to bring the game’s overall rating on Steam down to be mostly negative. Mind you, it’s not clear if those reviewing Devotion are actual players from China or just paid internet commentators. Red Candle Games apologized on Steam on Saturday, saying that the team had used internet slang as placeholders while working on the game, but forgot to delete all of them. It said it had replaced the poster earlier on February 21st in a new patch after it was discovered. “We are deeply sorry for the trouble it caused to everyone, and that we sincerely ask for the forgiveness of our players,” Red Candle Games wrote. One user who self-identified as Taiwanese on Steam said that even though Red Candle Games issued a patch to remove the offensive poster, Chinese players have downloaded a pirated version of Devotion that couldn’t be patched and still continued to offend Chinese users. It’s not clear how Red Candle Games would fix a pirated version, though. In a later statement published today, Red Candle Games continued: “It is not Red Candle’s vision to secretly project extensive ideology, nor is it to attack any person in the real world. Even if the sensitive art element was wrongfully placed before, we kindly ask you not to over interpret other game material.” It noted that its official Weibo account had been shut down and it was appealing to Weibo to reinstate it. The controversy could have consequences for Valve’s plans to launch a local version of Steam in China, partnering with Shanghai-based video game developer Perfect World to help it transition better with local laws. But Chinese gamers aren’t exactly excited for a localized version to launch — the global version of Steam is still accessible to them now, and they’re afraid the local version would replace it with a much more limited selection of games.